Compliment your outdoor dining decor and give your guests the perfect place to sit and enjoy every get-together. 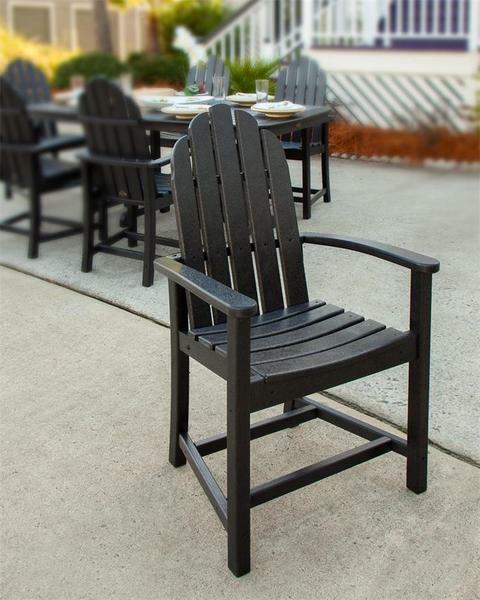 Crafted from eco-friendly polywood, these American made chairs are made to withstand the rigors of life outdoors, while requiring none of the maintenance associated with traditional wooden outdoor pieces. Combine with our Round 48" Dining Table to complete your outdoor dining space. Boxed Dimensions - 27" x 25" x 24"
Boxed Weight - 34 lbs.